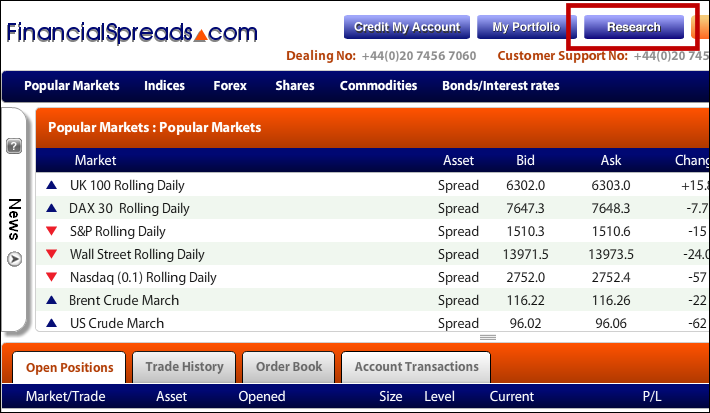 Financial Spreads provides clients with free of charge access to a number of third party research and analysis websites. Please note that analysis is provided by third parties which are completely independent from Financial Spreads and should not be taken as investment advice. These websites offer a broad range of analysis, trading updates and economic information on the UK and international stock markets as well as the forex and commodities markets. 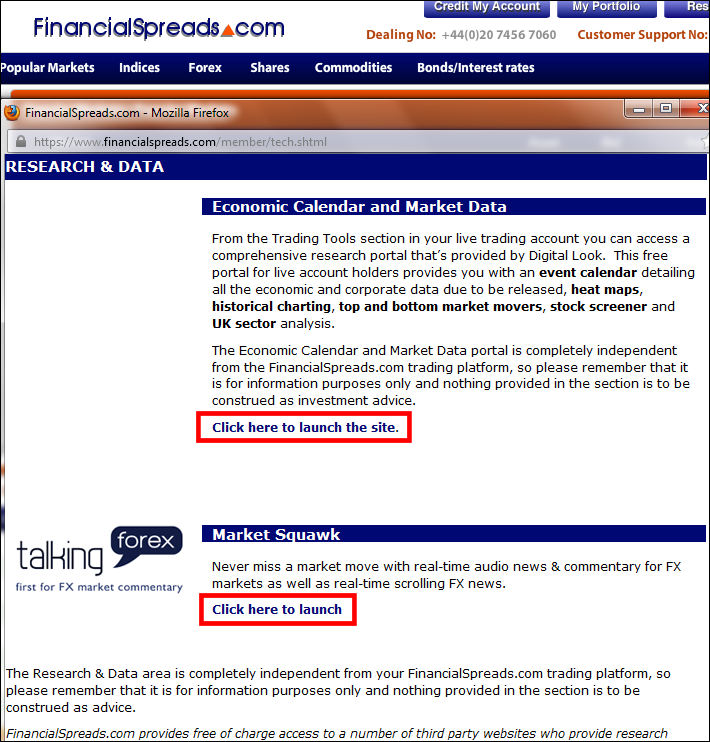 From the Research and Data section, there is free access to a variety of independent research and analysis reports as well as other useful trading information. This section is provided by Digital Look and comprises of a comprehensive research portal. 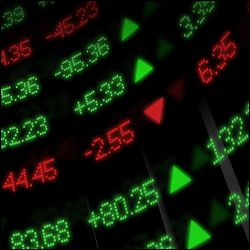 The Market Squawk service offers free real-time audio news and commentary for the forex markets on top of the real-time scrolling forex news. For more information see Market Squawk.